Here we are sharing community action projects we are involved in as an organization at both the State level and the local association level. We are also sharing ideas for monthly outreach projects. This is our way of making sure that each California chapter is aware of what their sister chapters are doing, allowing us to support one another in our efforts. Community service is work done by a person or group of people that benefits others. It is often done near the area where you live, so your own community reaps the benefits of your work. You do not get paid to perform community service, but volunteer your time. Community service can help many different groups of people: children, senior citizens, people with disabilities, even animals and the environment. Community service is often organized through a local group, such as a place of worship, school, or non-profit organization, or you can start your own community service projects. Community service can even involve raising funds by donating used goods or selling used good like clothing. There are numerous benefits to participating in community service, both for yourself and others. Some people prefer to participate in community service activities that have a quantifiable impact, for example, activities where you know the specific number of kids you tutored, dollars you raised, or cans of food you collected. This is in contrast to activities that don't have such clear numbers, such as creating a garden. Below are a few suggestions to consider for your association’s community action programs. January – Operation Blankets of Love. www.operationblanketsoflove.org Call your local animal shelter or pet rescue to find out exactly what types of blankets and towels they are accepting as donations. Most organizations are not picky about donations, but some do require that blankets are not stuffed with any type of padding. An example of this type of blanket would be a down comforter. You can also donate food, treats, toys, crates, carriers, collars, leashes and kitty litter. When provided with a comfort item like a blanket, the animals snuggle in and visibly relax, seeming to feel safer and more secure and warm. No longer shaking, tails begin to wag and ears perk up. When an animal appears in a home-like setting, their chance for adoption and survival increases dramatically. March - Operation spring cleaning – clean a neighbors yard, garage, or home of senior that would welcome your help. Offer to help with taking the items to the donation center. Or if yard sales are allowed organize a few volunteers to set up and take care of sales and clean up. All proceeds go to the homeowner or a local charity if they choose. July - Volunteer to clean up trash at a community event, after a parade or concert. Volunteer to clean up after a natural disaster. August – Help repair, paint, and clean a local playground. Raise funds to sponsor new equipment. Playgrounds offer so many benefits to our children. Physical. Emotional. Self Confidence. Experimenting with Emotions. Releasing Emotions from Trauma. Playing Alone. Group Interaction. In addition games encourage the ability to focus and lengthen their attention span. September: Eyeglass Recycling - Changing Lives, One Pair at a Time. In just about any home, one can find a pair of eyeglasses that are no longer being used. That same pair of eyeglasses can change another person's life. Drop Your Eyeglasses in Lions Collection Boxes. You can drop off your usable eyewear at Lions-sponsored collection boxes in your community. For information specific to locations in your community, contact your local Lions club. November – National Youth Ambassadors are high school-aged youth advocates who have demonstrated leadership and dedication in the fight against tobacco. Youth advocates are identified each year as representatives of their state through a competitive application process. These leaders are trained at our annual Youth Advocacy Symposium and engaged year-round through ongoing training, technical assistance and calls to action. Arrange for a teenager or doctor to speak on this topic at one of your meetings. 1 – STEP ONE -Plan & Prepare : Determine your coat drive dates, drop off location and details. 2 – STEP TWO-Register :Fill out our easy online form and receive a coat drive kit. 3 – STEP THREE-Promote & Share:Use free tools & resources to spread the word. 4 – STEP FOUR Collect & Count -Take pictures. Collect, count & sort the coats and contributions. 6 – STEP SIX -Deliver Coats -Select a distribution partner in your local community. 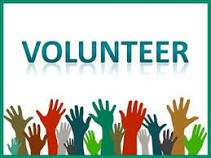 the longest ongoing volunteer initiative in the insurance industry! Through the dedication and commitment of all Week of Giving volunteers and companies, we have been able to support hundreds of nonprofits and charities throughout the United States and United Kingdom – and make a real difference in so many communities. IICF Week of Giving volunteers set records in all areas in 2017, showing yet again how #insurancegivesback! Let's aim even higher in 2018! Registration is now open for nonprofit organizations. We invite you to register your projects as soon as possible to maximize IICF Week of Giving volunteers! IICF (Insurance Industry Charitable Foundation) is a wonderful organization that works to both support worthwhile charities and to spread the word about how much the insurance community gives back every year. IICF has recently partnered with Sesame Street for a Literacy Campaign. The CA Council of IAIP supports this great initiative and challenges each of our chapters to get involved in a literacy program in their community. Chapters can volunteer time to teach children reading skills, conduct a book drive to provide reading materials to the programs, or provide monetary support. Click on the photo below for more details and let us know how your Chapter decides to get involved.